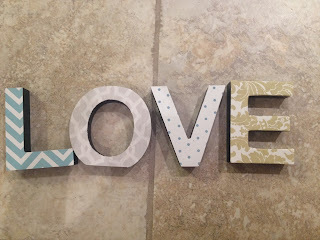 I got this idea off of Pinterest (as usual), and it's really cute and inexpensive! 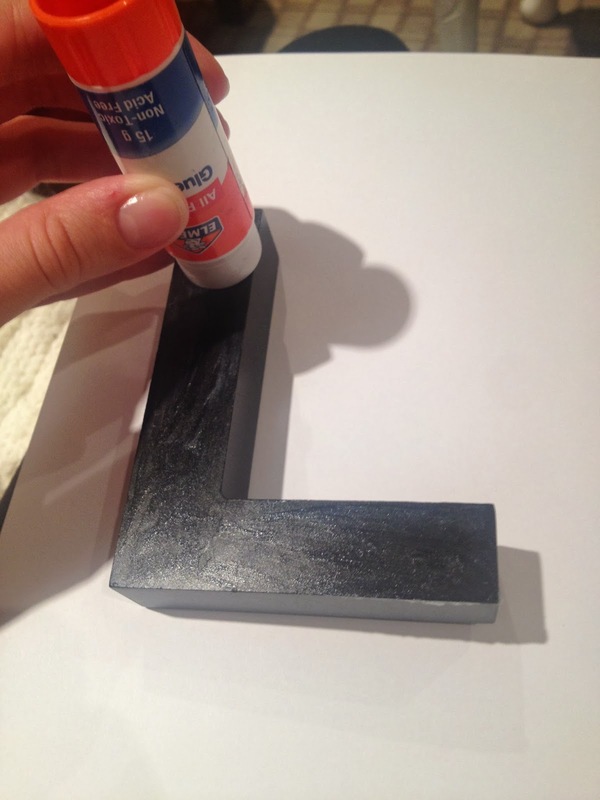 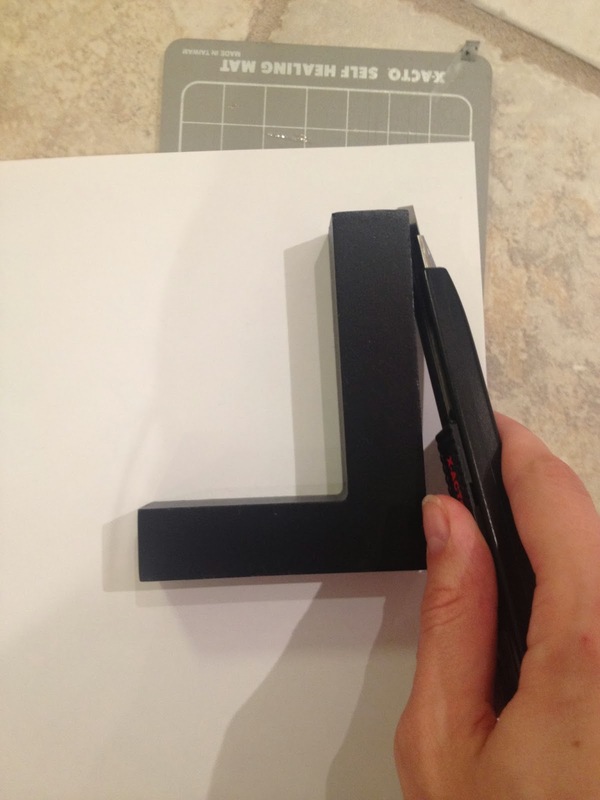 You need wood letters, mod podge, a glue stick, scissors or X-Acto knife and access to a laser printer (such as at a print shop). 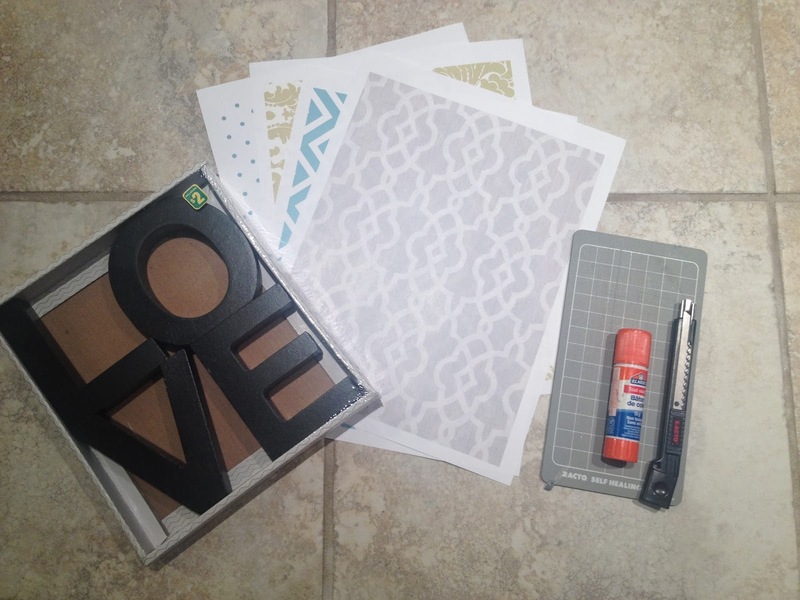 I found some cute patterns on google and pinterest, and took them into my school print services to get them printed on a laser colour printer. 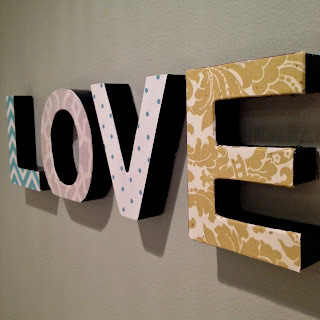 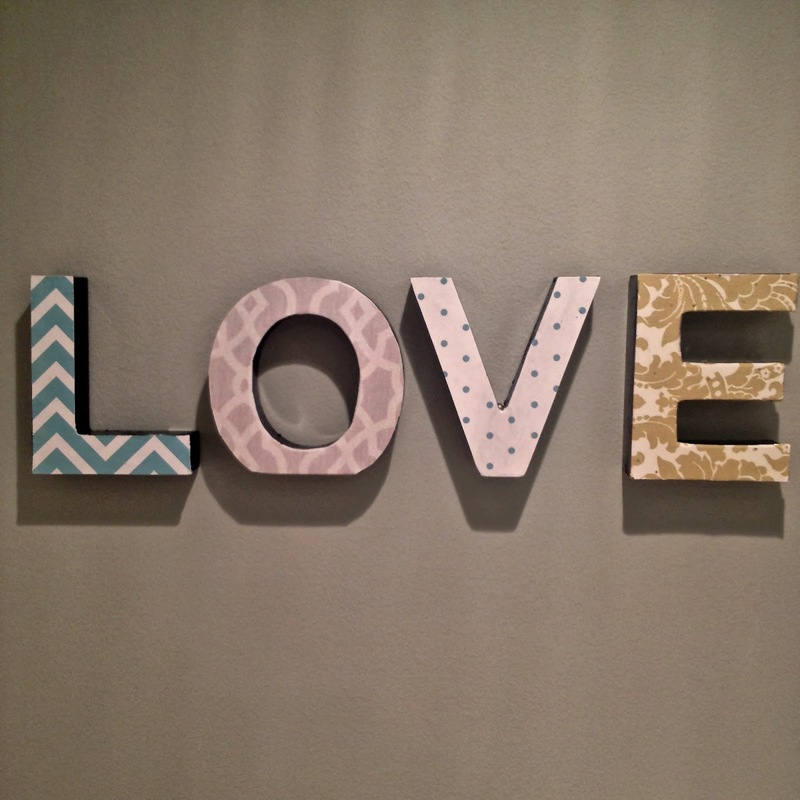 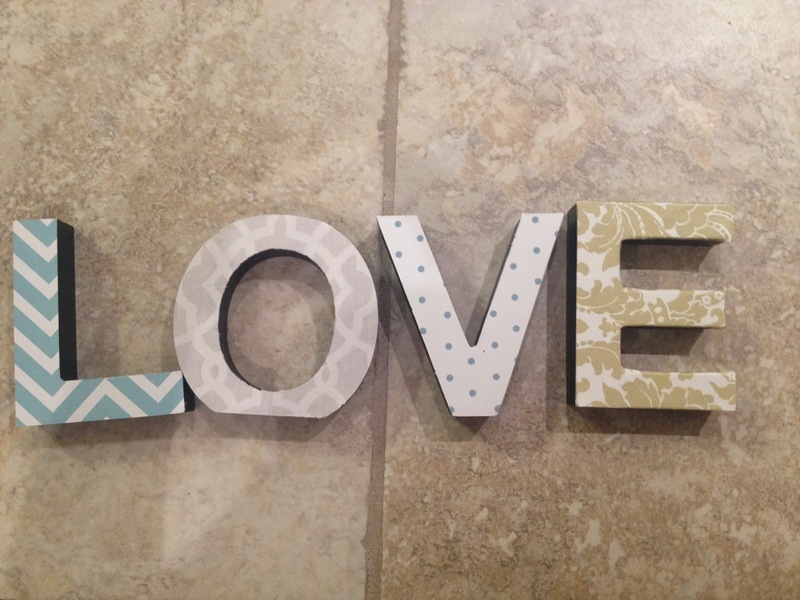 I bought the letters at the dollar store, they came in a box and already spelled love. I used the glue stick to apply a thin layer of glue to the letters and then placed them on the back of the patterned print out and smoothed them out, and let them dry. I wanted the sides to be left the painted wood colour, so i cut around the letter with an X-Acto knife. Next, I painted over the pattern with mod podge to give it a glossy and protective finish. I let them dry, and then I hung them up with the 3M Command Strips.